Yet another in a series of fake stores on the internet using GreenDot MoneyPak debit card and Google Checkout to defraud buyers. This is my first purchase with bradysdepot.com and your website instructions suggested I should pay with MoneyPak, how do I know my money is safe? Green Dot keeps records of all transactions ran through their MoneyPak system, this way they can track and protect the purchase. Make sure you have your receipt ready before calling Green Dot Customer Service. Whats the Green Dot MoneyPak? MoneyPak is a safe and secure way to send money to where you need it. The MoneyPak works as a "cash top-up card". Once you purchase it at a participating retailer with cash, you can use it to reload prepaid cards, add money to a PayPal account without using a bank account, or make same-day payments (pay for merchandise) to different companies. Is using a MoneyPak safe? Green Dot Corporation is a trusted name in the financial services industry and designed the MoneyPak with your privacy and personal security in mind. Unlike other services, you will never need to disclose your personal or financial information to a retail cashier. How much money can I put on the MoneyPak? Where can I purchase a MoneyPak? MoneyPak can be purchased at thousands of stores nationwide, including major retailers such as Walmart, Walgreens, CVS Pharmacy, Rite Aid, Kmart, Kroger and Meijer. Click here to find a store near you. How do I buy a MoneyPak at the store? Pick up a MoneyPak from the Prepaid Product Section or Green Dot display (click) and take it to the register. The cashier will collect your cash and load it onto the MoneyPak. How much does a MoneyPak cost? 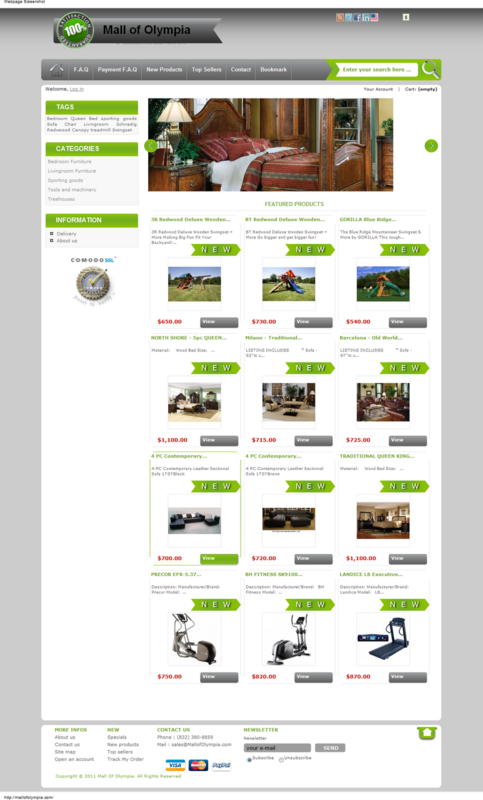 MoneyPak costs $4.95 or less. There are no hidden fees or charges. 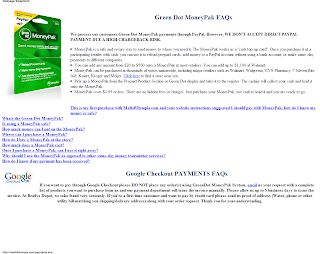 Just purchase your MoneyPak, use cash to fund it and you�re ready to go. Once I purchase a MoneyPak, can I use it right away? The money is usually immediately available on your MoneyPak. Please note the following exceptions: Walgreens has a 60 minute funding delay, Radio Shack has a 30 minute funding delay and Longs Drugs has a 15 minute funding delay. Why should I use the MoneyPak as opposed to other same-day money transmitter services? You can call or email your companys customer support number to verify that the payment has been received. 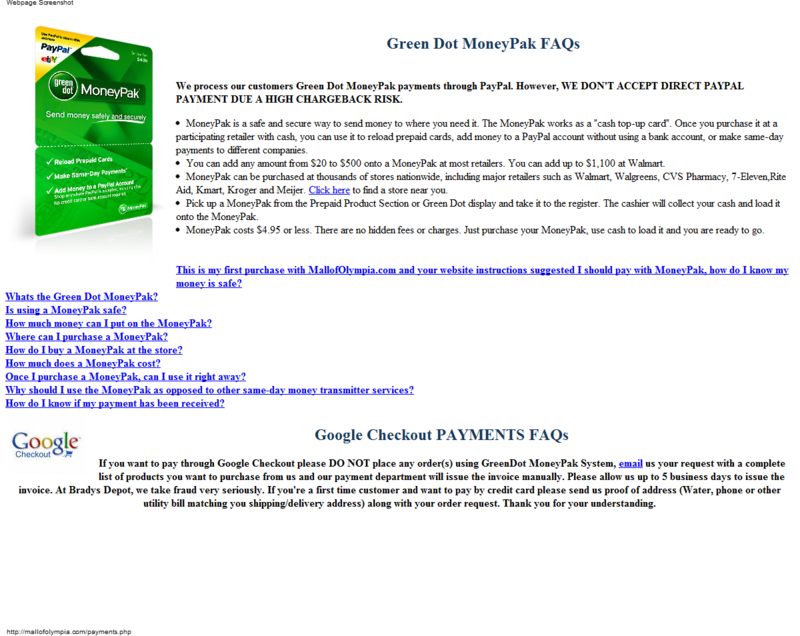 If you want to pay through Google Checkout please DO NOT place any order(s) using GreenDot MoneyPak System, email us your request with a complete list of products you want to purchase from us and our payment department will issue the invoice manually. Please allow us up to 5 business days to issue the invoice. At Bradys Depot, we take fraud very seriously. If you're a first time customer and want to pay by credit card please send us proof of address (Water, phone or other utility bill matching you shipping/delivery address) along with your order request. Thank you for your understanding.